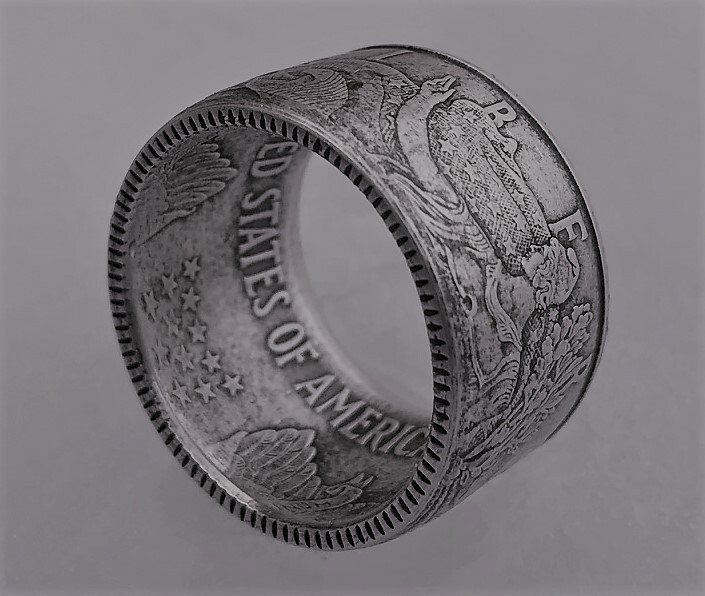 Talk about making your coin rings stand out! 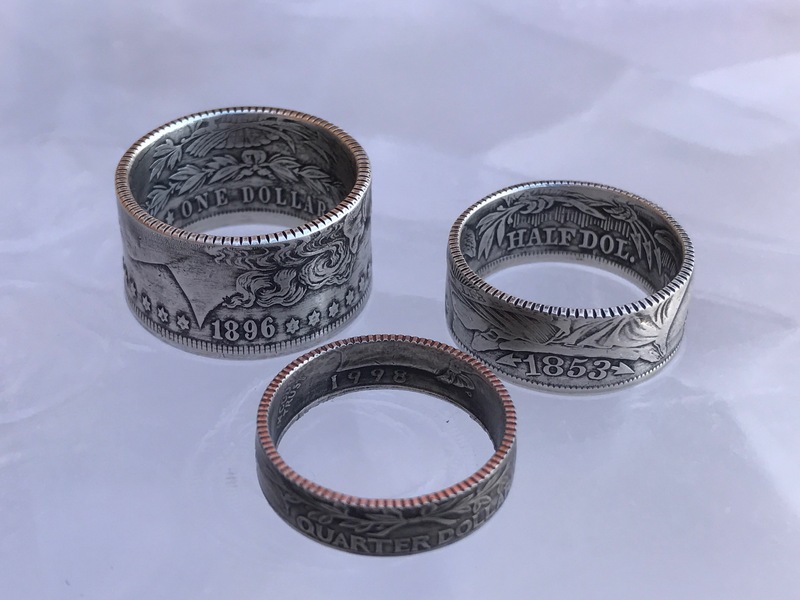 A clad Quarter, a Seated Liberty Half Dollar, and a Morgan Silver Dollar with the new reeds applied. 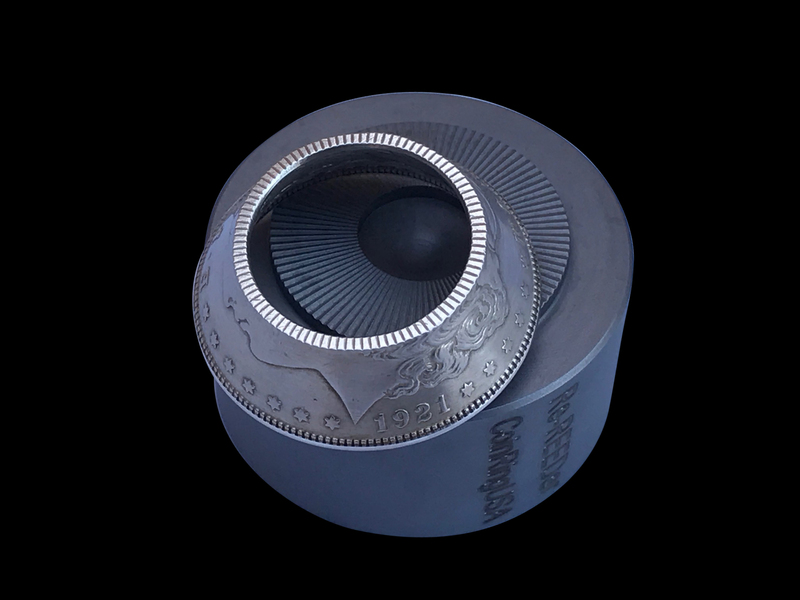 Even the clad quarter looks awesome! 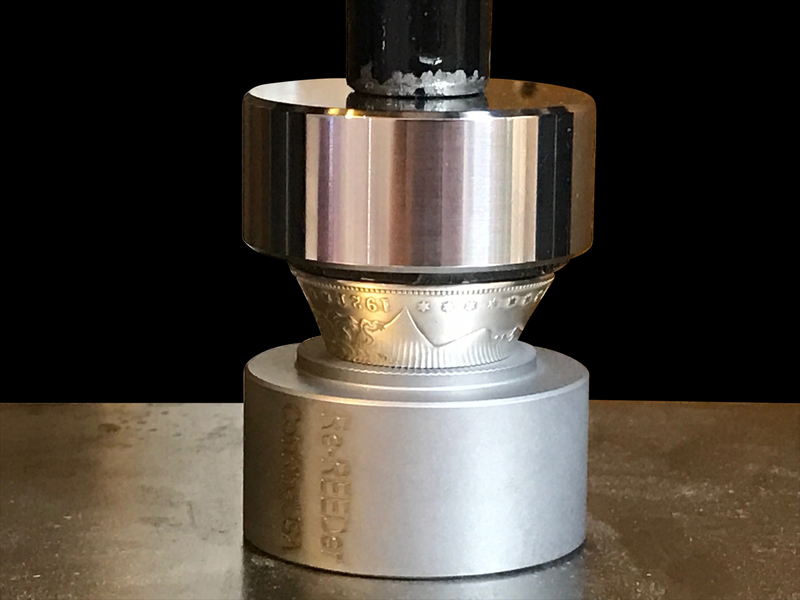 Lastly, many of you have asked when it would be available…my new “Re-REEDER” tool is in production now and it will be ready to drop next week! 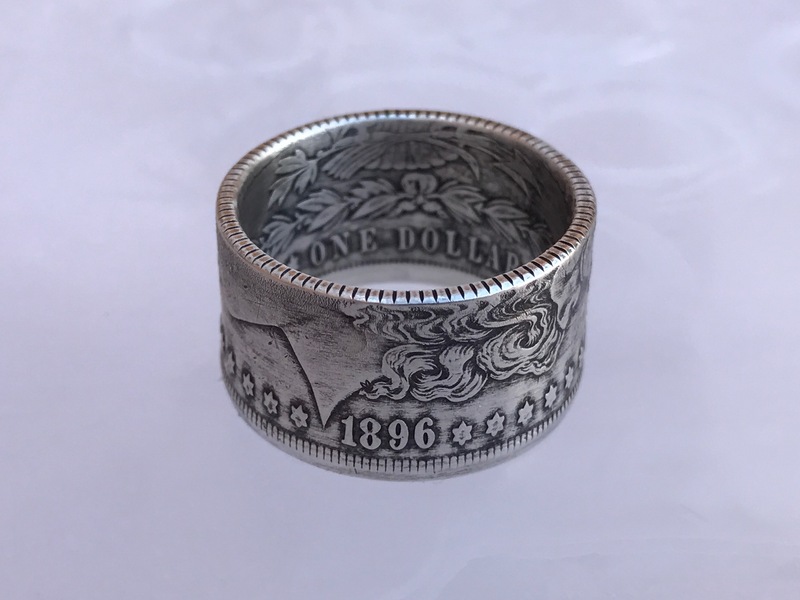 One thing that I’ve learned is that the coin ring-making craft is much like a fine wine: it gets better with time! 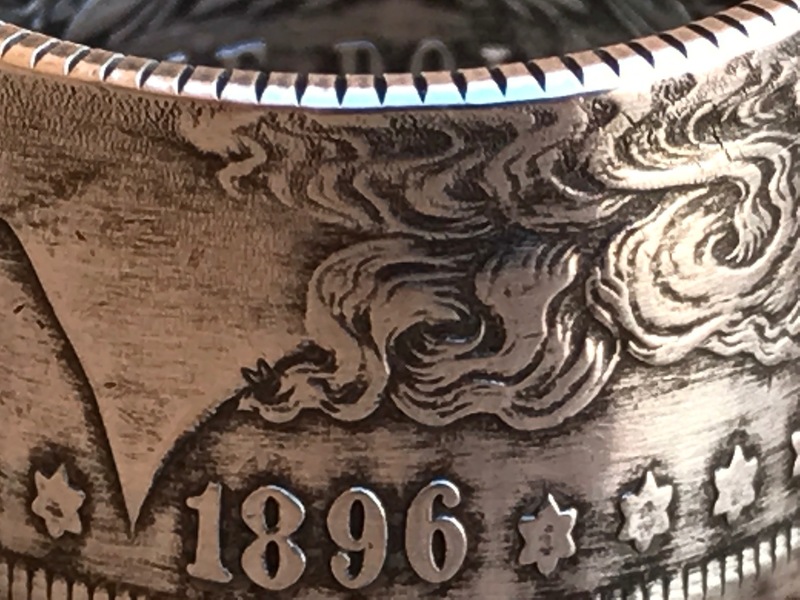 The methods used get continuously refined and improved upon, turning the start-to-finish process of making a coin into a wearable piece of art both faster and easier. 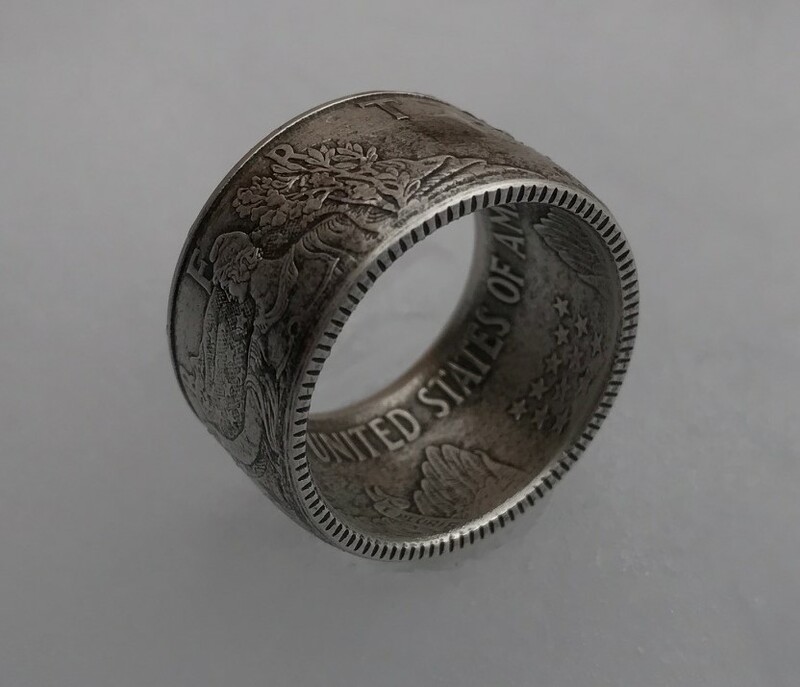 One of the things that I’ve noticed is that as the level of quality of peoples’ coin rings improves, it can become more challenging to differentiate your finished work from someone else’s; especially if you are choosing to sell them online. 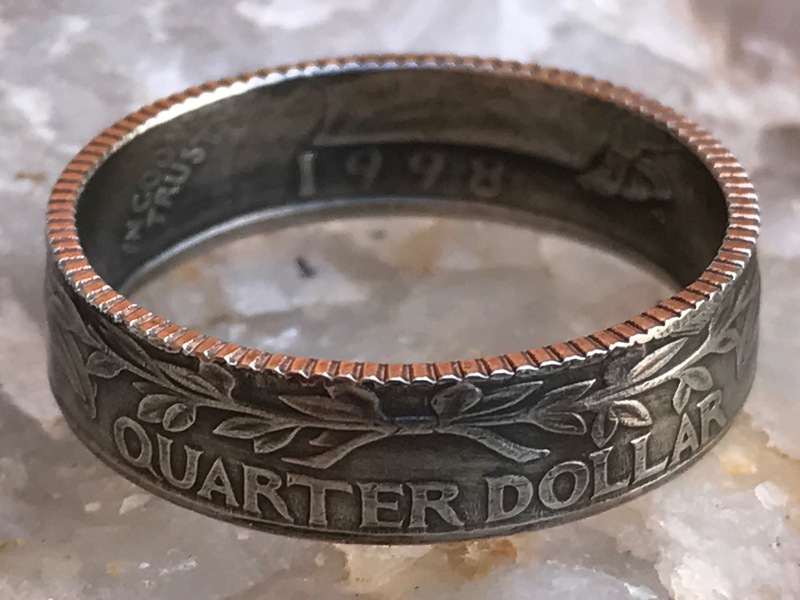 So I began working on a new coin ring-finishing tool a few months ago that was borne from an idea that a relative of mine gave me who commented on how cool it would be if BOTH sides of a coin ring had the reeded edges on it. Hmmmm…. 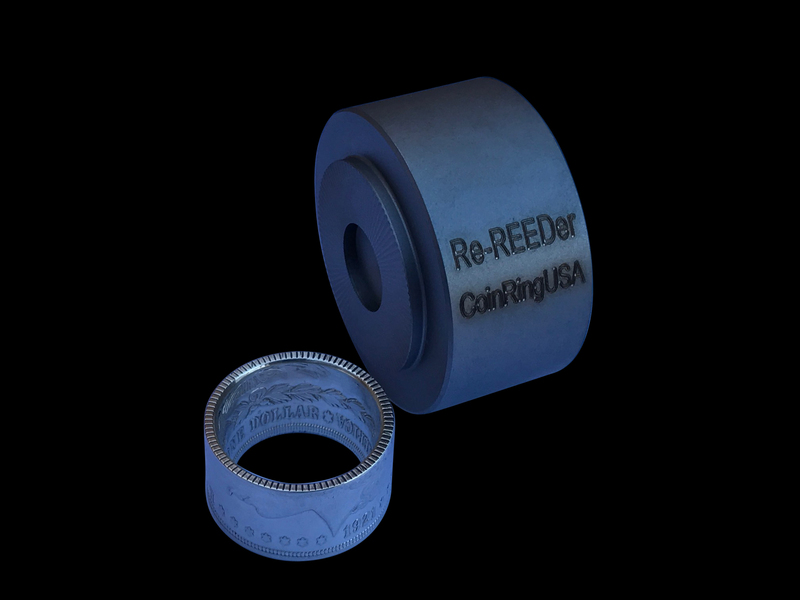 So what I came up with is a new tool that will (easily and quickly) put the “reeds” on the thinner cut-side of your coin; giving your ring a more symmetrical, refined and finished look. 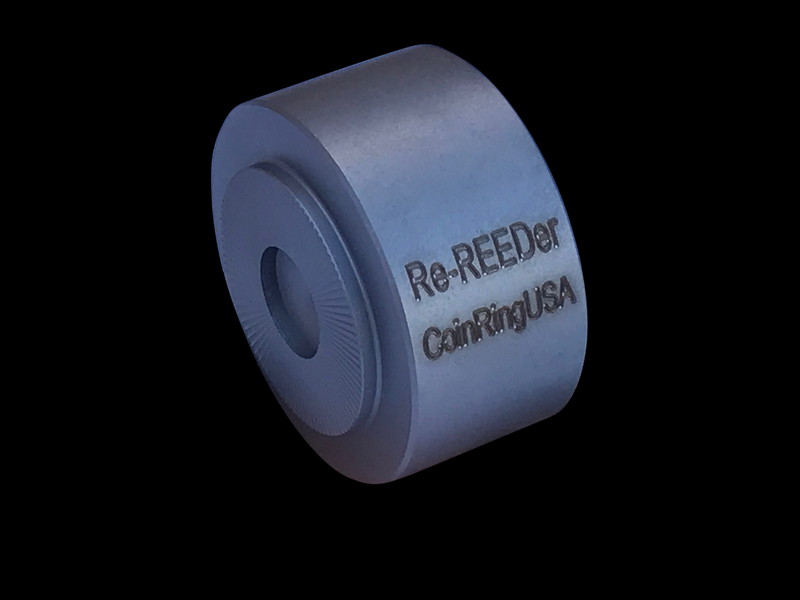 This tool will also give you the option of being able to put a “fresh set” of reeds back onto a coin that either has well-worn reeds from age and circulation, has knicks/damaged reeds, etc. Just lightly sand or file off the old reeds and re-apply! 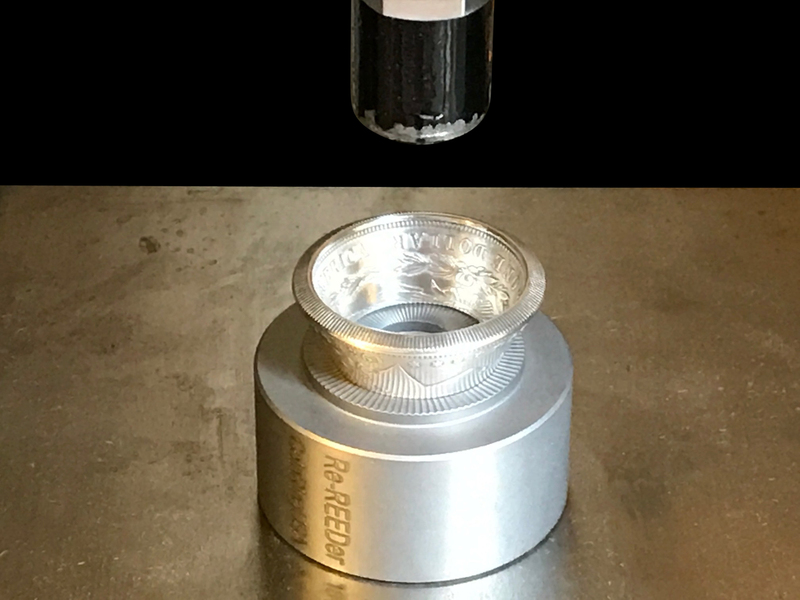 I came up with: the “REED-er” as a possible name for this tool. 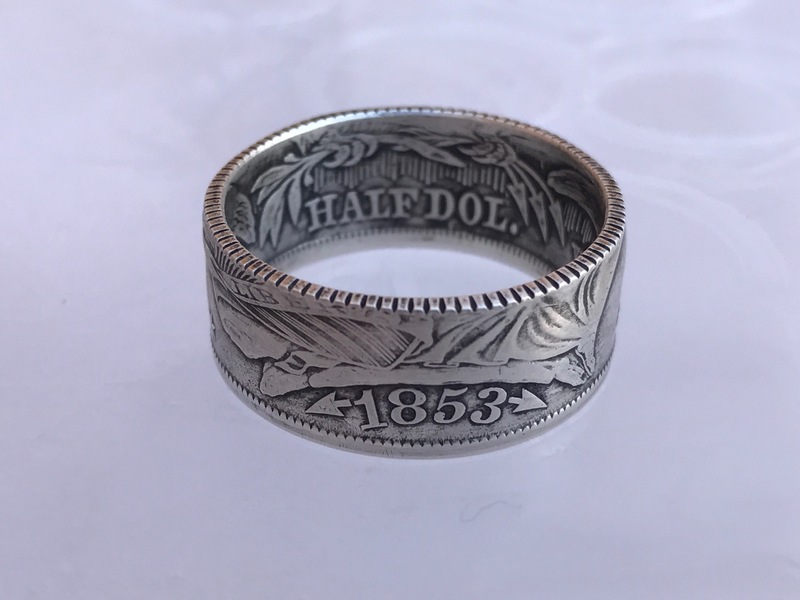 Let me know your thoughts on a name and what you think of the reeded edge look on both sides of the ring in the pics, thanks!